I’ve Made My Bed… (2012 garden, part 2) | Food It Yourself! So just after getting my garden together in May, I left my camera out in the rain. Needless to say, the camera did not survive. This careless act, and the intensive research seminar I took this summer have kept me from posting here at Food It Yourself. I’m not off my DIYet, though, so Let’s catch up! I was able to save a few pictures of the process of building my garden. 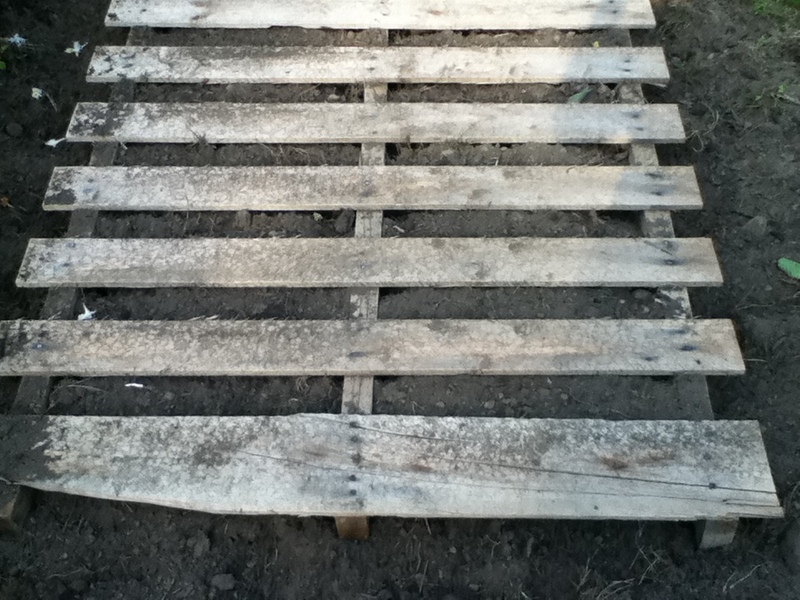 We decided on cheap and easy planting beds made from old pallets. (Dumpster diving is a great workout to complement your DIYet!) I got the idea from the Recycled, Upcycled, Freecycled Garden Projects Facebook page. First, we prepped the ground. 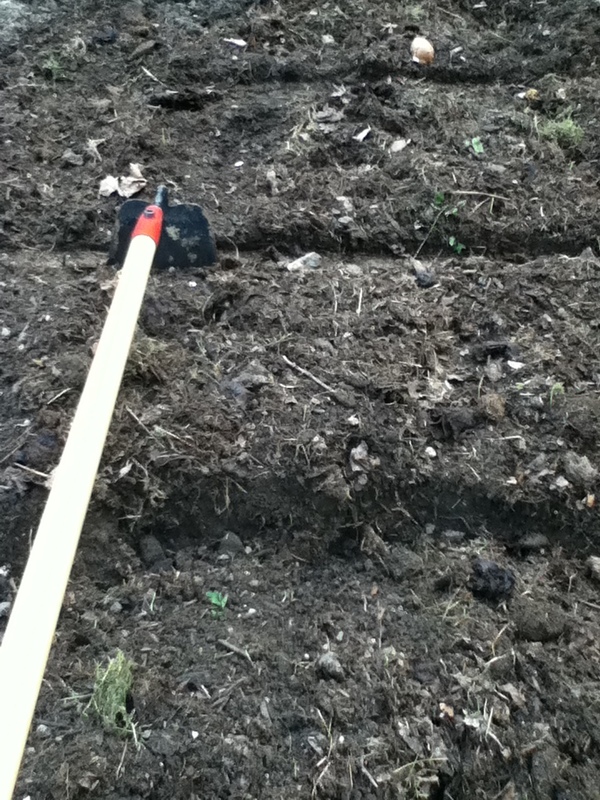 I don’t have pictures, but we used a rototiller to dig up the grass, then worked in some composted manure and topsoil. We hit many rocks, which seems to go hand-in-hand with digging in my yard. 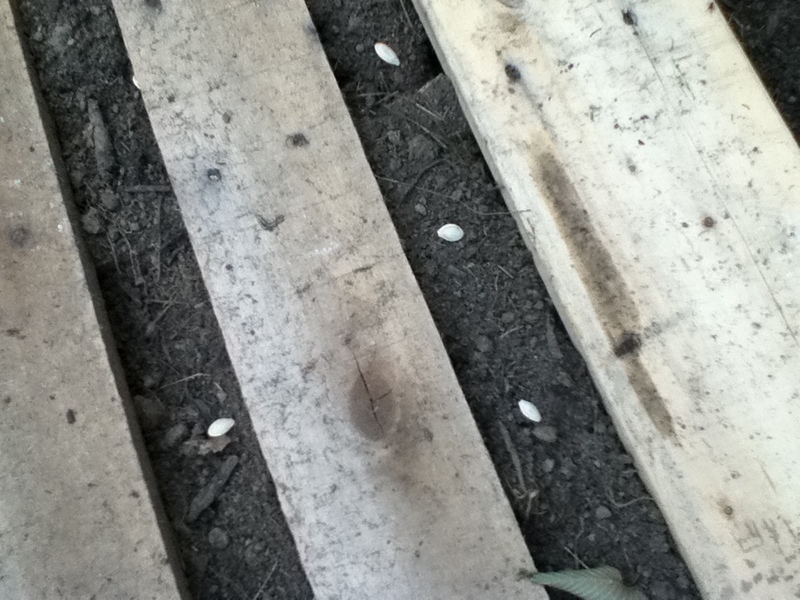 First, I put a pallet down on the prepared soil. Then, I picked the pallet up and used a hoe to make the impression deeper so the pallet’s boards would be almost, but not quite, flush with the level of the soil. Put the pallet back, and that’s all there is to it! Here are the beds ready to go. Put seeds and seedlings between the boards and you’ve got a great garden bed. There is no space for weeds to grow between your rows. 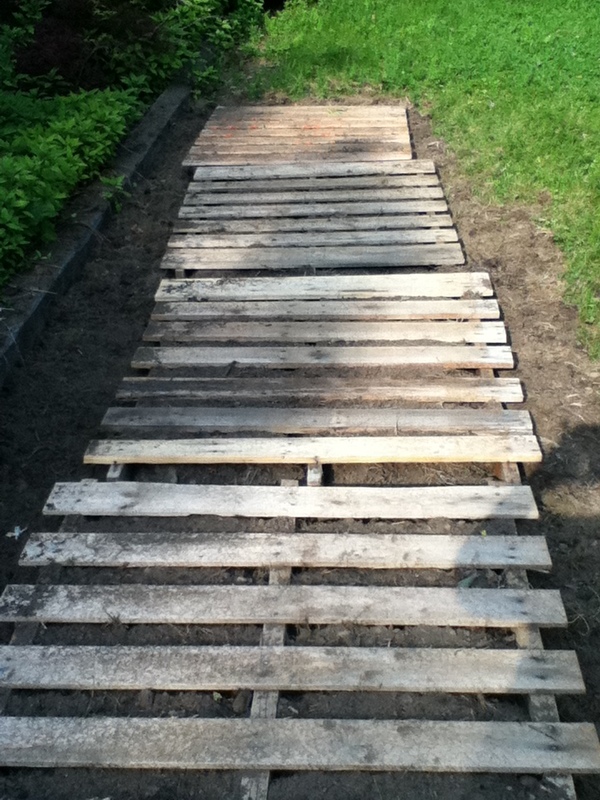 The boards let you step across the bed without compacting the soil. This is such a simple way to make a garden bed. Also, I have hardly had to weed this summer. Best of all, my veggies are growing so well, I’ll have plenty of homegrown goodies to add to my DIYet. Are you inspired yet? Anything that can hold dirt can grow things- give it a try! P.S: if you want to know what I was doing while I wasn’t blogging here, here’s a layman’s version of the literature review I wrote in my summer class.